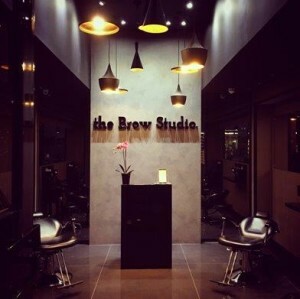 My Appointment | The Brow Studio | Book appointments online hassle free. We are situated in Melrose Arch. We specialise in the shaping, correcting, colouring and tattooing of eyebrows. We shape eyebrows using only the Tweezing technique. Whilst the most common method of shaping is waxing, we prefer to use only the tweezing method as it results in the least amount of pain, irritation and redness. Waxing can sometimes take a thin layer of skin off the eyebrow area, and leaves you with redness and inflammation post treatment. Threading, whilst very quick, is also very uncomfortable and again usually results in redness, inflammation and sometimes irritation. This occurs as a result of the friction caused by the rubbing of the thread. The tweezing technique that we have created is extremely quick, which means it's not painful. Tweezing also offers a very precise and neat finish and is the most hygienic of the 3 methods. Once you tweeze... you won't go back! Microblading or eyebrow embroidery is a manual method of semi-permanent makeup. Results can last anywhere from 1-3 years, depending on different factors affecting the procedure. A touch up once a year is recommended to retain the shape and saturation of the pigment. It is done manually, using a very fine blade to deposit pigments into the epidermis. Because we're impacting colour closer to the surface, the strokes appear crisp and very fine. There is no "spilling" under the skin. This method is ideal for anyone wanting to enhance the look of their eyebrows. The results are natural looking, hair-like strokes, regardless of the amount of hair present. 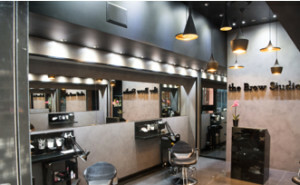 People suffering from alopecia, trichotillomania or any other condition that causes hair loss benefit greatly from Microblading, as well as people who simply aren't happy with their eyebrows. Initially the brows appear darker, but fade significantly over a two week period. It is absolutely crucial to have a touch up done 3-6 weeks following the 1st treatment, as it is difficult to predict how well the skin will retain the pigment. Brow Specialist Samantha Divaris, obtained a Masters in Health and Skincare Therapy from the renowned Beauty Therapy Institute in Cape Town, her qualifications include both national and international accreditations including SAAHSP, CIDESCO and ITEC. Being a self-confessed perfectionist, she developed a passion for eyebrows early on and has spent the last 13 years helping the eyebrow “needy”. Monique is a Brow and Microblading Specialist. She trained at the renowned Beauty Therapy Institute in Johannesburg and obtained the ITEC international accreditation. She has over 7 years experience in the industry. Dudu is an excellent Brow Specialist and Lash Extentionist with over 6 experience in the industry. She currently specialises in Eyebrows and Eyelash Extensions and is busy undergoing training for Microblading. Carol is a Brow Specialist, Lash Extentionist and Nail Technician, with an extremely high standard of work and over 11 years experience in the nail industry. She specialises in Eyebrows and Eyelash Extensions, as well as all things nails. Lindy is a skilled Nail Technician with over 10 years experience in the industry. She is an absolute perfectionist and specialises in all things nails. She is currently undergoing training for Eyebrows and Eyelash Extensions. We are able to help eyebrows at any level of “disaster”. Whether it’s shaping… tinting… or tattooing you need?